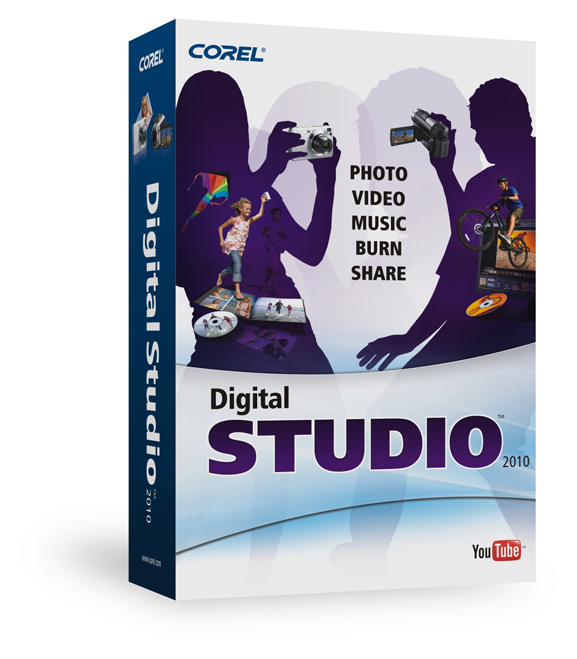 Corel Digital Studio 2010 will make it easier for the snap-happy and video-taking dad to create something amazing whether it is a photo project, uploading favorite pics to Facebook and Flickr, or putting together quick movies he can burn to DVD or upload to YouTube. Corel Digital Studio 2010 only $39 On Amazon! Right now the Corel Digital Studio is on sale for only $39, regularly $99! Corel is offering a copy of Corel Digital Studio 2010 to one randomly selected winner. Faithful Provisions Giveaway Disclosure: Corel sponsored this giveaway by providing me with a copy of Corel Digital Studio 2010 and one to give away to randomly selected winner. For more information about Faithful Provisions, please read my Disclosure Policy. 5. Follow Faithful Provisions and/or Corel on Facebook– just paste this message on your personal Facebook wall so your friends will see it. Giveaway ends Monday at midight CST. The winner will be drawn using Random.org. Winner will be notified via email and I will post the winners at Faithful Provisions under Giveaway Winners. Wow…what a fun toy to win!!! What a great gift to give the wonderful father of my son! My Dad has been gone 32 yrs. Thanks for a chance to win this awesome software! I love Corel! I’m an email newsletter subscriber. Oh what a neat gift!! My husband would love this! .-= Dana´s last blog ..Craft Coral – Funky Mod Flowers =-. What an awsome fun gift! I blogged about the Giveaways! I would love to win this !! Thanks so much for the chance. so would love to play with this, hope I win! This would be awesome! Thanks again!! My husband would love to get the Corel Digital Studio 2010. He was deployed when our first child was born. Now he’s trying to make up for being deployed for a year by taking pictures of both of our children. He would be so happy if we won! I follow Corel on Facebook. I posted the giveaway on our blog’s Facebook page. This would be great fun for my techie husband!! I would love to win something like this so I can become more techno-savy. i think this program has some really cool features on it. My husband is a bass player on our church worship team. He would love to have this software. Thanks for having this great giveaway! Did I mention geeky husband….loves software! This would be way too cool. For me! Pamper thyself! This would be sooo great to have! Thanks! This would be so awesome to have. We love digital scrapbooking and this would be a great tool to have. Woohoo gotta love a giveaway! I would love to give this to my hubby for fathers day! This would be great for my dad. Thanks for the chance. This would be perfect to help us perfect all of the future daddy memories! Wow I would LOVE to win this!! What a GREAT giveaway! We would use this over and over again!!! Great gift idea! This would be so nice to have! Great giveaway! what a great idea! thanks for the posts and tips! .-= sonia ´s last blog ..Ways to show I love myself. =-. I admit, I would be the one to use this – not my husband. But he is happy when I’m happy, and loves me posting pics and videos of our girls. My husband would love this! Thanks for offering! This would be great to organize all our trips with! Thanks! I subscribed to your email newsletter & would love to get this software. We really need some editing software! I would love to win this- thanks! This would be wonderful when loading pics! I am in the market for a new camera and this would be great! Hoping we can win one of your very cool giveaways!!! I follow on facebook and subscribe to emails. This would be great for fathers day pics. This would be so much fun for my husband! This would be so much easier for him to edit our pics/videos. This looks amazing, my husband & I would both get use out of this program! This looks great. Count me in!! My husband would love this gift! I’d so love to have this program and learn how to edit my photo’s! My dad would love this as he loves cameras! We could have some fun with this! My hubby would love this, he loves photography! I posted the link on FB!! Posted a reply on Frogblog. I’ve never tried this software, but it looks great. Thanks for offering this. My hubby would love to play with this! I replied on blog frog at Free Housecleaning Grand Prize: Have your house cleaned for three months! I love that you can burn to DVD and you tube! This would be great for sharing all of the photos and videos that we will be taking of our new baby girl! This would make me want to take more pictures. This looks like awesome software. It has lots of features and would be easy to use… would love to win :). Ooohh- love Corel!! My copy is outdated so this would be awesome! This would be GREAT fun to win! My hubby and I would enjoy many hours together with this creating whatever we feel like using clips of our grandson and our son and the rest of the gang. Thanks for the chance. This would be a good Father’s Day gift for my husband. This would be great. We do a lot of computer projects. I love taking pictures so this is great! I appreciate all the giveaways! I would lo….I mean, the hubby would love this!! A Twitter follower and tweeted this giveaway! My hubs would love to win! This would be fun to play with! Great stuff! My father would love it! I would love to play around with this program! I love to play with photos but haven’t done it for at least 8 years… this would be a great start! and I subscribe via e-mail. I love that you can edit photos right down to teeth-whitening. I would love to use this product. And editing kitten videos would be such fun! Neat giveaway – would love to win for hubby! Thanks for the chance to win this wonderful software. I am following you and Corel on twitter and tweeted http://twitter.com/rusthawk/status/15909361816. I am a fan of you and Corel on FB. Thank you! Would love to have this program! Our family would have much fun with this package! Thanks for the chance to win! new to your site! This is so cool that you are giving all this away! I know this is for Dad’s Rock but I have to say if I won it would be for ME!!! Commenting for my entry today! I made the post on FB! I would LOVE the chance to win this. Thanks for another exciting giveaway! You Rock! This looks really neat! Thanks! Hubby would love to play with this! I follow on Twitter and promoted the giveaway. This would be great too! This would really help us edit our videos. Winning this would be awesome :). Also, I subscribe by email. What a fun giveaway!! My hubby would spend hours playing and creating with this!! This would sure make my photos look better. I could use improvement in this area… Thanks! My husband would have fun with this. This looks so cool. Makes being creative easy! I love editing my photos as well as my parents photos to frame and then give to them, this would be a great tool for me to use to improve my editing skills. I would love having Corel. We are swimming in pictures and I have two young girls. It would make my life easier and so much fun! I posted the link on my FB page!! My husband loves pictures and working with them on the computer! This would be a wonderful Father’s Day gift! .-= Tabitha (A Penny Saved)´s last blog ..Saturday’s Sweet Treat: Cupcakes =-. need this for our home movies. 6/13 – i’ve been thinking of buying editing software – winning it would be so much better! We have thousands of pictures and we’re great photographers! Pick us, me, my husband, oh we will share! I tweeted for you day 3! Would be great for me to learn.. thanks ! this software would be great! I added myself to your emails. Thanks! My DIL would love to have this. http://twitter.com/Costana78/status/16101705655 follow and tweeted again .. The Corel Digital Studio would be a great way to make special pictures for all the out of town relatives. We can edit videos too! We could really use this one! I take pics all the time. Would love to have this software. this would be a great way to keep all our pictures organized! I love to play around with photo software, and this looks like an awesome one! …and i’m an email subscriber! How much easier this would make it! Another big boy toy for my oldest boy! Daddy. I follow you on FB and posted this giveaway on my wall. .-= Kelly Minor-Lamb´s last blog ..The Dads Rock Giveaway Bash =-. Your link is on the list of people giveaway prizes for the Dads Bash. Thanks. This would be a really cool prize to win :). I would love this software! We’d love to win this- my husband & I would both love it!! This would be great for our family! I would love to win this. This looks so cool! Thanks! Ohhhh. I would LOVE to win this!